Country music favorite Houser will ignite the pre-race festivities with his robust sound. The Mississippi native has scored several No. 1 songs during his nearly two decade career in Nashville. His hits include "How Country Feels," "Running Outta Moonlight," "Goodnight Kiss," "Like a Cowboy" and "We Went." 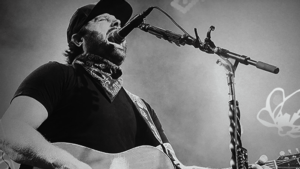 "Randy Houser has one of the most distinctive voices in country music and we are honored to have him set the tone as the opening act for our Pre-Race Pit Stop at the Food City 500," Caldwell said. "We feel like his booming vocals will provide the perfect launch to the new BMS pre-race experience." Houser's latest hit, "What Whiskey Does," was released last November on his latest album titled Magnolia, and has moved up the charts. Houser recently performed the song live on The Tonight Show Starring Jimmy Fallon. "Excited to be coming to Bristol Motor Speedway to perform at the Food City 500," Houser said. "NASCAR fans are known for their passion; every time we play a NASCAR event their energy is incredible!" To purchase Pre-Race Pit Stop passes as well as reserved seat tickets for the Food City 500, please call 423-BRISTOL or buy them online at www.BRISTOLTIX.com. The Pre-Race Pit Stop pass is an exclusive add-on experience available to Food City 500 ticket holders (ages 12 and older) that provides several amenities, including a Cold Pass for infield access, opportunity to see the teams, cars and haulers up close, access to Food City 500 pre-race ceremonies including the pre-race concert as well as driver intros. Bristol Motor Speedway officials are making it easier than ever for kids to have an awesome experience. You'll also want to check out BMS' new teen and college ticket pricing programs. Kids' tickets (12 and under) are free and adult tickets are $10 for Friday's (April 5) Bush's Beans Pole Day. On Saturday (April 6), kids' tickets are free and adult tickets start at $35 for the Alsco 300 NASCAR Xfinity Series race and the Zombie Auto 150 NASCAR K&N Series event. On Sunday (April 7) adult tickets start at $55 for the Food City 500 and kids' tickets are $10. For all races, each child must have a physical ticket in hand to enter the gates. The Bristol Motor Speedway ticket office is the only authorized location that can produce the free kids' tickets. For a limited time, adult grandstand tickets can also be purchased directly from any neighborhood Food City store.